Phil Mickelson’s Shirt – Product Placement in Vogue or Unfashionable? Did you see Phil Mickelson’s golf attire at the Masters last month? He wore a Mizzen+Main dress shirt, which is designed with moisture-wicking, “performance-fabric” commonly used in fitness clothing. Phil’s on-course attire is creating quite a stir across social and mainstream media. The shirt even has its own Twitter profile. Today at The Players Championship, Mickelson will wear a long-sleeved version of the dress shirt when he tees off, reinforcing the performance of Mizzen+Main’s clothing. Product placement has long been a boon for brands. Strategically aligning your product or service with an influencer or celebrity can throttle sales. Ask The Hershey Company. In 1982, after Mars declined the offer to place M&Ms candy in the blockbuster movie, E.T. the Extra-Terrestrial. As a result, Reese’s Pieces became the candy of choice; sales jumped by as much as 300 percent. In addition to a product endorsement, Mickelson is also being compensated with a “piece” of the company. 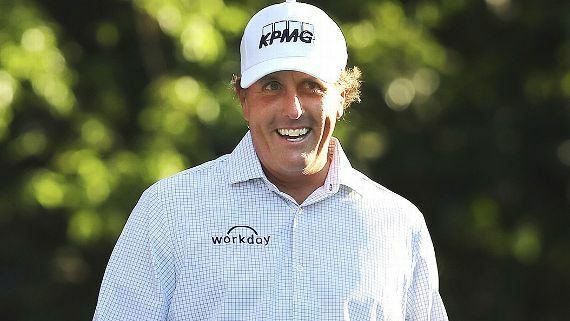 Beyond Mizzen+Main, the company most thrilled by the recent notoriety is Mickelson’s key endorser, Workday, whose logo is predominantly emblazoned on the wrinkle-free shirt. Now that is a fashion statement! Previous Post 5 Building Blocks to Brand Your Business Next Post Team Yanny or Team Laurel – Which One Are You?